John and Becky Durham are top selling REALTORS® in Hudson, WI and Woodbury, MN. When you choose to work with John and Becky, you get two dedicated real estate agents who work together on every transaction. Whether you are buying or selling a home, they are able to give you the time and attention you deserve. 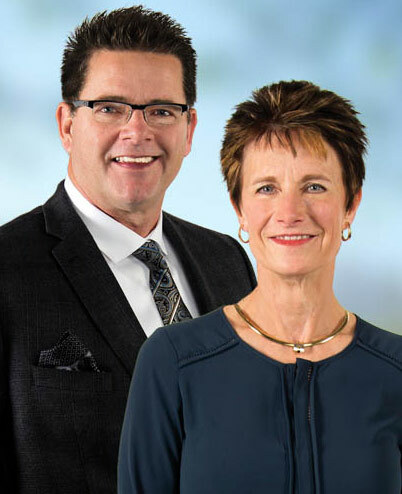 With over 27 years of combined experience, John and Becky are committed to serving their clients’ evolving needs and keep up on the latest real estate market trends in Hudson, WI, Woodbury, MN and Stillwater, MN. Buying or selling a home is the biggest financial decision most of will make in our lifetime. You can trust John and Becky Durham to help you do it right! Having lived and worked in the Twin Cities Metro area and western Wisconsin for over 30 years, John and Becky are proud to call this area home. They have 2 grown daughters and a wildly fun Airedale Terrier. They are active volunteers in their community and enjoy boating, exercise, travel, and exploring new restaurants. Hobbies include reading, sewing, flower gardening and lawn care, woodworking, stain glass, and stain glass fusing.